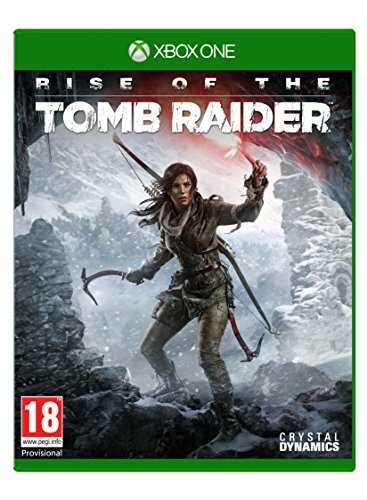 Rise of the Tomb Raider is Microsoft's last in its trilogy of Xbox One exclusive titles that it hoped would provide an advantage over the PlayStation 4 this Christmas – and it stands-up to the billing well. It might be a little short, but like Lara Croft herself, it is perfectly formed. Being fans of the Tomb Raider series since the very beginning, with the first outing one of our favourite games on the original PlayStation, we approached 2013's reboot with some trepidation. Reboots don't always work. But we needn't have worried because Tomb Raider was superb – and even better on the PS4 and Xbox One when it was remastered and rereleased. A grittier, more rounded Lara Croft – in characterisation rather that body shape – was exactly what the doctor ordered. There was only one issue though: the single-player campaign was too short. That's something developer Crystal Dynamics has partly addressed this time around, with its Microsoft timed-exclusive Rise of the Tomb Raider – although you shouldn't expect longevity miracles. Does Rise add up to the best Tomb Raider ever? We finished every aspect of Rise in a little over a week, playing around two to three hours a day on average. So our 18-hours of playtime is indicative, we feel, of a player's first run through. And considering there's no multiplayer, it can be argued that that's not an enormous amount of playtime for a full-price game. But it must be said that while some games offer more in terms of how much time they take to complete, there are few available for current generation consoles today that cram so much into the time you do spend with them. We ensured we completed all of Rise's side missions and optional tomb challenges too, plus dabbled with hunting and artefact collecting. We admit that we didn't quite search for every single hidden item, but anything gameplay-centric we are happy to have found and finished. Basically, we didn't rush through just to see the story, and are satisfied that we experienced everything the game has to offer. And it turns out Rise of the Tomb Raider is one of the most fun and rewarding games out in the build-up to Christmas. It has fierce competition for gamers' money, not least because Fallout 4 is out the same week, but it stands out as being one of the most joyful to play, from the first scenes to the last. It's 18-hours well spent. Those who played the 2013 reboot will instantly recognise Rise – much of the gameplay mechanics are similar if not identical. But given how much we adored that game, that's high praise from the off. The story is effectively played out on several open-world maps in Siberia – with a prologue in Syria. It swaps snowy peaks and icy ruins for the previous game's jungle island setting, but like the former game, dotted throughout are base camps that provide fast travel points and places where you can beef-up a more confident Lara Croft's skills and weapon proficiency. There are a few changes. One is the option to change outfit once earned, some of which provide added in-game bonuses. There are also a few new gadgets that help Lara reach different sections and complete puzzles as the game progresses. But certain elements are identical to before. Lara is extremely proficient with a bow and arrow, both in hunting or battle. And she can craft more deadly ammunition. The crafting has been taken to another level, though, with greater options to create. Plus, there are a number of different deadly projectiles that can be formed even during the most chaotic of action. Stealth remains a major part of the game, with silent takedowns and sneaking around sometimes the more sensible option to take, but firefighting and hand-to-hand combat feels more tactile this time, where you don't have to just snipe from behind cover until you exhaust the requisite amount of enemies. Instead, you have multiple ways you can play it, even rush headlong into a skirmish, shoving ice pickaxes into foes' faces. In that, choosing what skills to add while levelling-up Lara is paramount to the play-style you want to adopt. The last Tomb Raider game also had a slight balance issue in that we thought there were too many firefights and not enough of the puzzling elements that made the original games famous in the first place. Rise gets that right this time, with not only some excellent level designs, even with the open-world settings, but also actual tombs to raid. Yep, the tombs are back in both story form – there are a few you must progress through – and in the hidden challenges scattered around. Each of the tomb challenges also offers a different kind of puzzle, which we adore. They invoke the spirit of yore, with levers you need to pull, timing puzzles, or swimming action. And the successful completion of each holds a prize that enhances Lara's skill set all the more. They definitely extend the playtime and you, like us, will invariably seek each out as a matter of course. There are also hidden caves (that occasionally secrete a rare animal to hunt), crypts and other areas off the beaten track, but none are quite as satisfying as the challenge tombs. We know what we want more of in the next instalment that's for sure. As it stands there wasn't a single moment where we thought something was out of place or undernourished in Rise. The storyline is typical Tomb Raider fare, with a chase to find a holy artefact – the Divine Source – before an evil network of religious zealots can, but it is well acted and has enough twists and turns to keep the action flowing seamlessly. The climbing and mountaineering sections are simply astonishing, with each leap feeling like you are in genuine danger. And the graphical presentation is on a similar level to the remastered version of Lara's last full outing – although that somewhat shows what an amazing technical achievement that was back then. There is replay value too, even if you have finished the single-player campaign. There's an expedition mode that presents score trials on previous levels and maps, or the ability to replay specific chapters at fiendish levels. You can also spend in-game currency to buy or use cards earned during the campaign, to change different aspects, such as enemy habits or aesthetic alterations in order to make each play through of an expedition unique. And as this mode has an online leaderboard, you can check your scores against friends, adding a feeling of community to the proceedings. Expedition mode aside though, unless you are the sort of gamer that finishes a run through, ups the ante and goes again, Rise of the Tomb Raider should be considered as a one-off experience for the solo player. While some might moan about the fact that it could be spent in just a week of play, for us that was a week of constantly going back to it even when there were other massive, triple-A titles begging to be played. Rise's storyline is captivating and the gameplay so addictive that we were compelled to load it up whenever we had a moment. Also, consider that games like Batman: Arkham Knight and even the new Call of Duty: Black Ops 3 have single-player campaigns capable of being completed in around 14 hours, and Rise doesn't seem bad at all. Yes, we did deviate from the main story missions a lot during our 18-ish-hours of play, but that's purely because to do so was so much fun, and surely that's the point of a rip-roaring Hollywood-style action adventure.